Invasive mussels don’t get a lot of love around the Great Lakes, because they take food from other animals and carpet much of the lake floor. 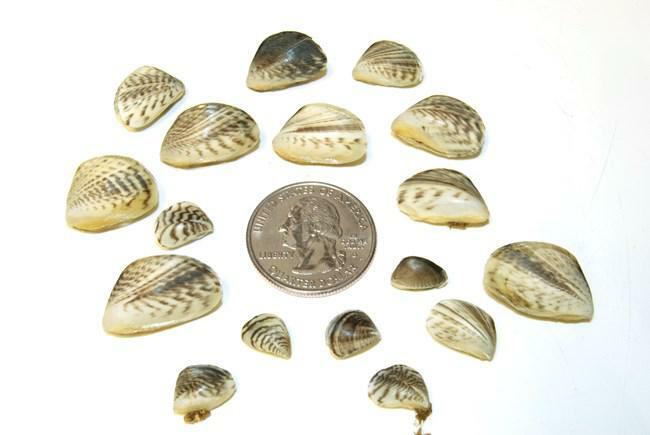 But Michigan State researchers say quagga mussels may actually doing some good. “We think that they’re filtering the E. coli out of the lake directly and just kind of acting as predators on the E. coli,” PhD student Chelsea Weiskerger told Michigan Radio. She and research partner Richard Whitman examined years of records of E.coli pollution at 64 beaches along lakes Michigan and Erie. Weiskerger says quagga mussels make the water clearer, allowing ultraviolet rays from to sun to reach further underwater. You peeps that are all lovey-dovey with zebra and quagga mussels because they eat e coli should go down to the sewage treatment plant and drink the effluent. (Oh wait, if the STP were doing it’s job there wouldn’t be any e coli.) Less e coli is a very tarnished silver lining. It’s like saying your house burning down makes a good campfire to cook s’mores or the A-Bomb in Hiroshima killed millions of rats. Amen to Gerard Babin! I could not have said it better myself. The DNR is an essential part of the hunting-industrial complex, whose funding is dependent on the proliferation of killing. Research how much of its fiscal budget is derived from the spoils of gun sales, permits, licensing, fees, fines, etc. Moreover, check how often predators are de-listed or tags for them are increased when deer herds find a balance within an eco-system. It’s all about money/funding and has little to do with the sham of conservation. Finally, the words “invasive” and “non-native” are often used interchangeably, when a distinction needs to be made. Native species can become even more invasive than non-natives. Non-natives, as seen here (and in many other places in this globalized world), can often be non-invasive, and play important, unforeseen and even positive roles in a given eco-system. And send sunlight further down to proliferate weed growth, especially invasives. Sadly, when when folks up here discover a “critter” or “weed” it is automatically deemed “Invasive” and “Destructive”. Factually once money allows a foreign entity to enter “protected” waters, the damage has already been done. Truthfully, once nature is effected nature finds a way to adapt and heal itself. Rather than waste millions of tax dollars destroying what businesses unknowingly transported. Being from South Louisiana, we have found ways (very successful ways) to turn mayhem into profitable business. Example: I read recently that Louisiana Red Crawfish were “discovered” in lakes or tributaries – now that they have been discovered (they have already been in the water breeding for at least 10-20 plus years- or more) talks of eradicating them started. Reality these are hearty food sources (for fish and wildlife) that have already breed with local species which are forever and irreparably altered in a positive way. These and other creatures are transported by birds and other animals as well. For the DNR to ban the possession of any critter is foolish. it is already here and putting it in a pot as a meal rather than fine someone for having it in a bucket is foolish and cowardly. They do not destroy or compete nature always finds a way to compliment itself. Just imagine how many businesses could prosper by serving these “invasive critters” rather than attempting to destroy what nature has already made a place for at her table. No scientific argument or local myth will support destroying any animal. I studied the Wolf program up here years ago, foolish beliefs that they were responsible for the decimation of deer herds -a ruse by live stock owners to destroy an animal put here to remove diseased animals free of charge. Locals wiped wolves off the map, deer herds ballooned and CWD was discovered! Now that Wolves are back CDW is declining. DNR offices nation wide should share research – YellowStone had a similar situation and resolved it by bringing back the wolves and allowing nature to control itself. Greedy men control what animal lives or is removed from the food chain – playing GOD. Remember that everything in a chain is a link, destroy one part of it the entire chain can be permanently destroyed. Nature existed before men – coexistence = survival. Think about how many species men displace daily for their own desire. Sadly too many.